The SALGA Research Strategy outlines a research delivery model that aims to generate research through a system of partnerships and collaborations with external partners and expertise. 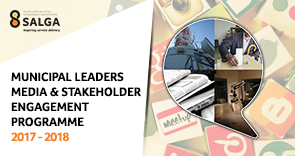 To continuously lead in the transformation of local government and pursue solutions for problems facing municipalities, research generation and dissemination is key. As such, SALGA entered into three partnerships during the 2nd Annual Research Colloquium signing MoAs with the following entities: the Public Affairs Research Institute (PARI), the University of North West - Faculty of Law and Juta and Company (Pty) Ltd. The latter is the oldest publishing house in South Africa. Formalising the long-standing relationship between the two organisations, the MoA signed with the PARI is aimed at fostering co-operation and development of joint initiatives that will assist SALGA to achieve its mandate as envisioned by the Constitution, while promoting the PARI’s research interests. The main objective is building a body of theoretical framed and empirically rigorous institutional work around local government, focusing on the development of new theories of organisational and institutional dynamics, thus, develop a medium-term research agenda driven by local government. Additionally, with a continued effort to transform local government to fulfil its developmental role through research development, the Faculty of Law at the University of North West and SALGA collaborated on a partnership to assist the organisation in building its research capacity, peer review and research dissemination. This partnership provides a platform for emerging researchers with interest in local government law, these are mainly students that have recently completed or currently undertaking postgraduate studies. All the organisations committed to producing high-quality research and further assisting SALGA and its members with dissemination and knowledge management framework. Consequently, to ensure regular dissemination of information, summaries, briefs, articles, case studies and opinion pieces on law, policy and practice affecting local government, SALGA and JUTA also sealed their partnership through an MoA. 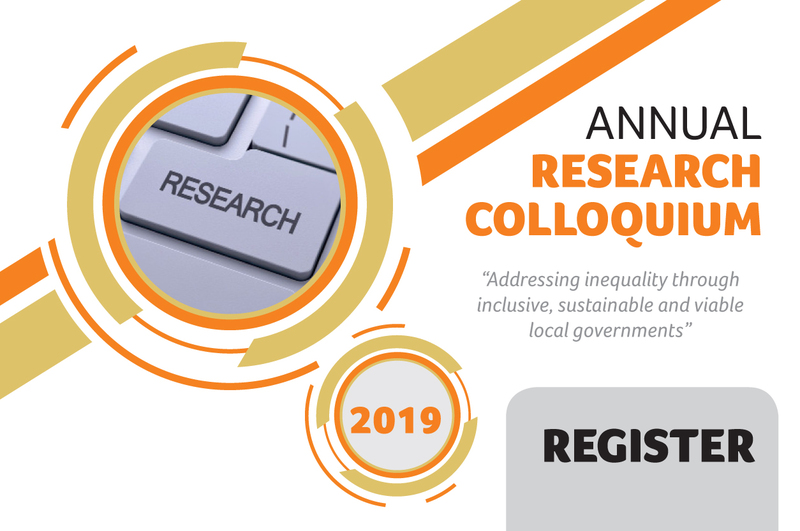 Going forward, the two organisations will partner in hosting the annual Research Colloquium, and work on publishing more thought-provoking research outputs, as evident with the “The Journey to Transforming Local Government Series” which is a book launched during the 2nd Local Government Research Colloquium.